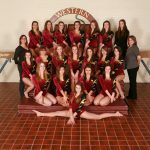 Girls Varsity Gymnastics · Jan 10 Gymnastics Picks up First Conference Win! Winter Sports Senior Athletes, The winter senior poster picture will be taken on Monday, November 26th at 2:10pm in the gym. You will be dismissed from class at 2:05pm. Please be ready in the gym. 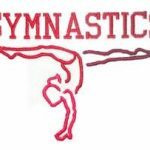 Attention all Gymnasts: For those girls interested in coming out for the gymnastics team this year, there will be a strongly encouraged meeting on Wednesday, October 25th at 5:30 pm in the high school cafeteria. There is more information in the athletic office. Please stop in and pick up the flyer from Mrs. Bassett!